The best themes from your classical Russian favorites, all together in one piece! It ends with a whirlwind of "Flight of the Bumblebee" combined with "Night on Bald Mountain." A real crowd pleaser and very demanding for all performers. Check out the fabulous performance of this piece by the Turkish group Marsyas Flute Quartet. 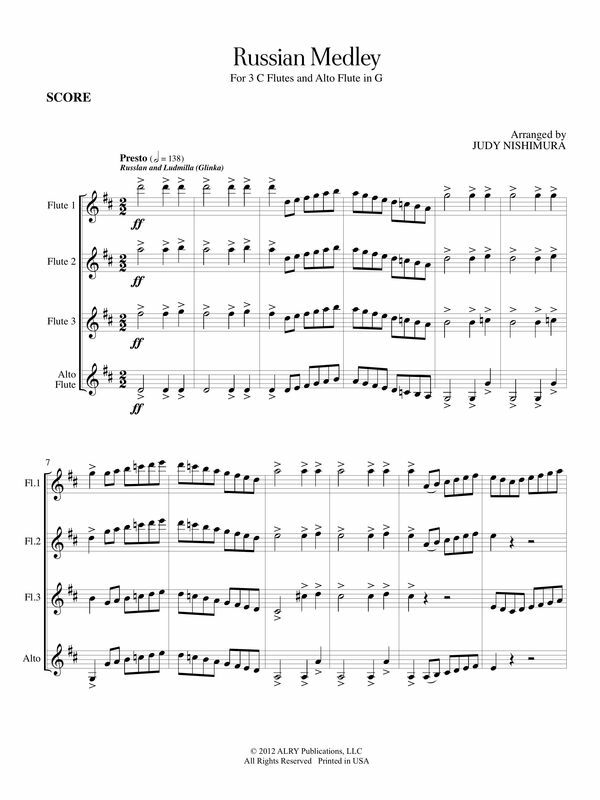 Award winner, National Flute Association's Newly Published Music Competition.